2008 might have been a year of recession for most of us, but for Hunterston B it was when a record-breaking run of safety performance began. Staff and contract partners at Hunterston B power station are celebrating more than five years without anyone suffering a lost time incident. And with over 700 people working at the EDF Energy nuclear power station which generates enough low carbon electricity for more than a million homes, this is a pretty impressive achievement. A lost time incident, LTI, is when a member of staff or a contractor injures themselves at work, and is absent from work for one day or more. 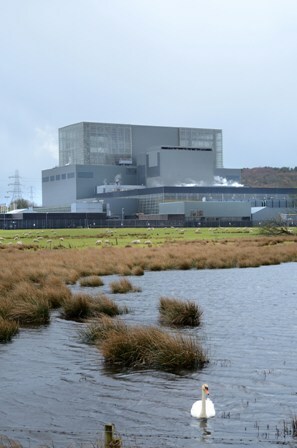 Since it first supplied electricity to the National Grid in 1976, Hunterston B has produced around 250 terawatt hours (TWh), and today produces enough electricity to power one million homes..
As nuclear power is a low-carbon form of electricity generation, Hunterston B has, in its lifetime, avoided at least 160 million tonnes of CO2 from entering the atmosphere. The local economy benefits from an annual boost of around £40 million thanks to the power station's continued operation.